Today's Sensational Shop is Boutique Academia - run by Maile! Hi! I'm Maile Urbancic, founder of Boutique Academia. My educational background is in math, but I love learning about all sorts of things, particularly science and space related topics. In my opinion, there is great beauty to be found in math, science, technology, and other deep intellectual disciplines, and I think it is fun to take these aesthetic elements and create wearable art. I find it particularly delicious when it involves a symbol of academic, professional, or intellectual achievement. Being a geek-from-birth myself, the idea of strong, clever women wearing academic jewelry has a sort of liberated-from-conventional-fashion feminist flavor to me. I have three kids ranging in age from 3 to 10. I run Boutique Academia from my home, and love that I have absolute, complete creative control -- from the jewelry to the website design. It's a creatively-minded person's dream job! I also love showing my daughters that math and science are fascinating and beautiful in so many ways. 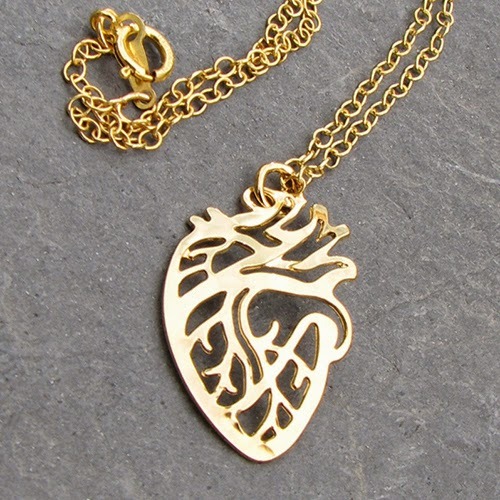 I opened Boutique Academia online in November of 2010, carrying STEM-themed jewelry. Since then, I have been constantly adding new designs and featuring new areas of science. Two years ago I started wholesaling to museums and bookstores. Boutique Academia jewelry is now in more than a dozen world-class museums and fabulous bookstores and gift shops across the United States. I also just put out my very first scarf. I am hoping to create a whole line of math & science themed scarves in the future. My favorite thing changes from month to month...usually my favorite piece is the one most recently designed. 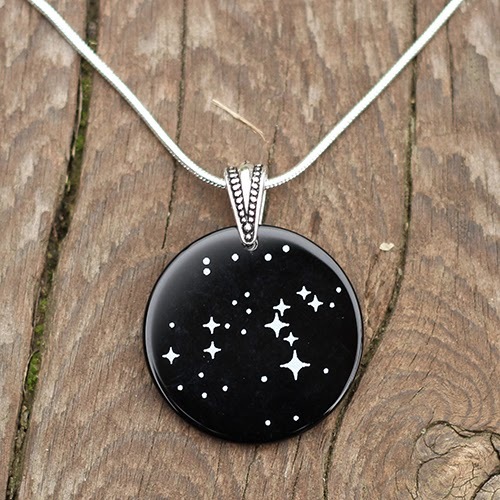 At the moment, I am particularly fond of a set of engraved onyx constellation necklaces. I took star charts and designed the engravings to be exactly accurate to as small a magnitude (star brightness) as possible for the engraving tool. Then I hang the onyx pieces on antiqued silver bails and put it on a silver snake chain. The result is rather stunning, with the white engraved stars standing out against the shiny black onyx. Boutique Academia is actually an offshoot of a company I was working on starting with some friends in 2010. We were considering creating a t-shirt company that made geeky shirts designed specifically for women, using super soft, comfortable, wearable shirts (not the tiny babydoll tee's that a lot of geeky apparel companies were using at the time). In the process, I discovered that I particularly enjoyed making geeky jewelry, and that no big companies were doing it at the time in the way that I had in mind. It seemed like there were lots of ways for men to display their geeky/academic/intellectual interests by wearing STEM themed shirts and ties, but very few options were available for women. I think it's changing now, but four years ago that's how it seemed. 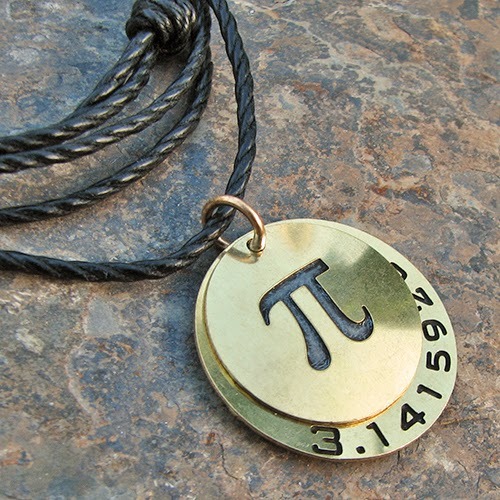 I think that semiotics are important, and I hope that my jewelry is contributing even the smallest bit to the subtle, unconscious impression that women have a place in science and math. 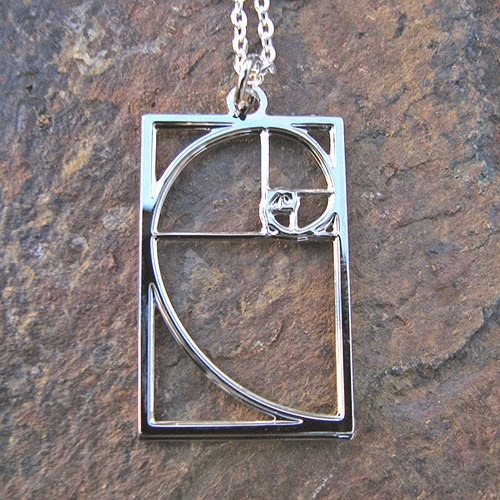 A while ago a friend sent me this: "Someone on my train here in DC just recognized my Fibonacci earrings and said she had a spiral necklace from your shop. And said to tell you that she loves it!" I am based in Oregon....so all the way across the country, two women who both have jewelry from Boutique Academia randomly met on a train and shared a moment of expressing their love for mathematics! That made my whole year. That's the sort of thing that makes it all worth while.